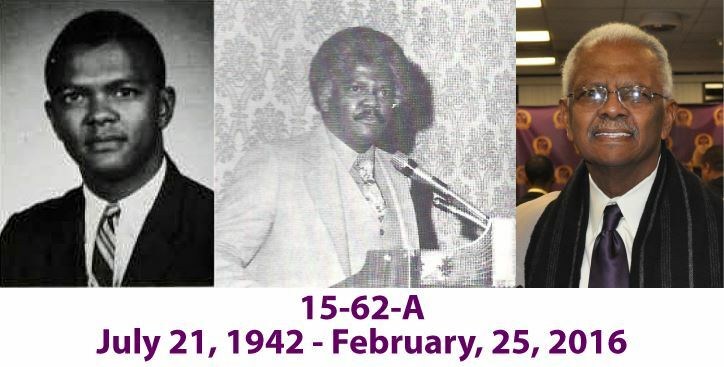 Brother Frank Byron Patterson (Frankie P), Omega Life Member #700, was born in Birmingham, AL on July 21, 1942 to the late Henrietta Boyd Patterson White and Noah Patterson. As a child, Frankie was an outgoing and inquisitive who was well liked by his peers and cultivated friendships very easily, many of which were lifelong. His parents made sure that at an early age he understood the importance of God in his life and he accepted Christ as his Lord and Savior through to the very end. Seeking a better life and opportunities, his family moved to Washington, D.C. in the mid-50s where he graduated from Taft Junior High School in 1957 and McKinley Technical High School in 1960. 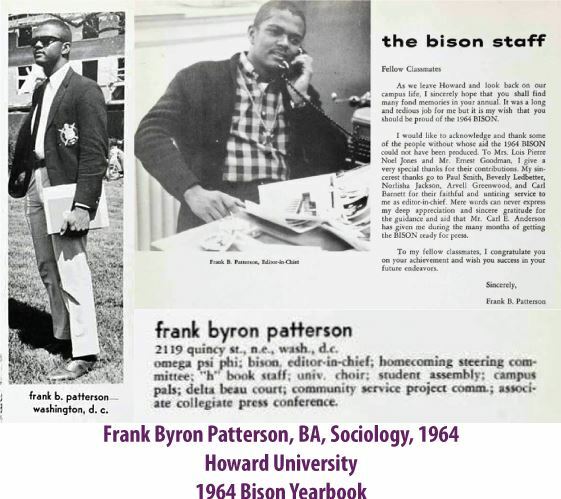 After high school, Frankie was accepted into Howard University where he completed his Bachelor's Degree in Sociology in 1964. 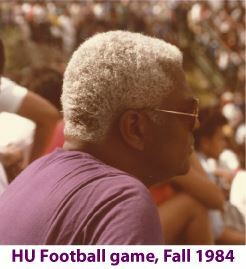 It was during this time at Howard that he immersed himself in many on-campus activities. Those included editor-in-chief of the Bison Yearbook, the University Choir, Homecoming Steering Committee, Campus Pals and HU Student Assembly (HUSA). As a result, he was recognized by Who's Who Among Students in American Universities and Colleges as one of the top collegiates in the U.S. 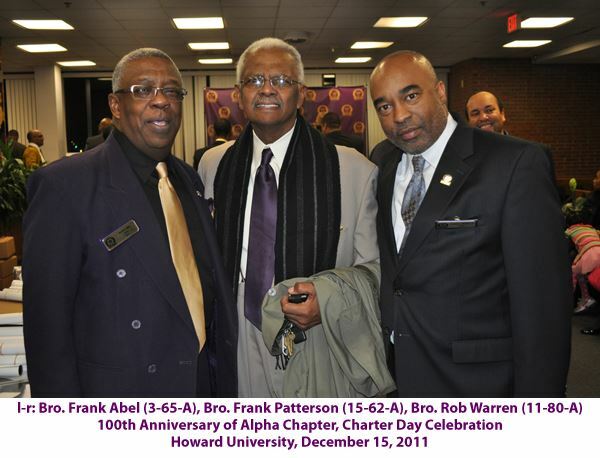 While at Howard, Frankie discovered the Omega Psi Phi Fraternity which proved to be important for Frankie and Omega. 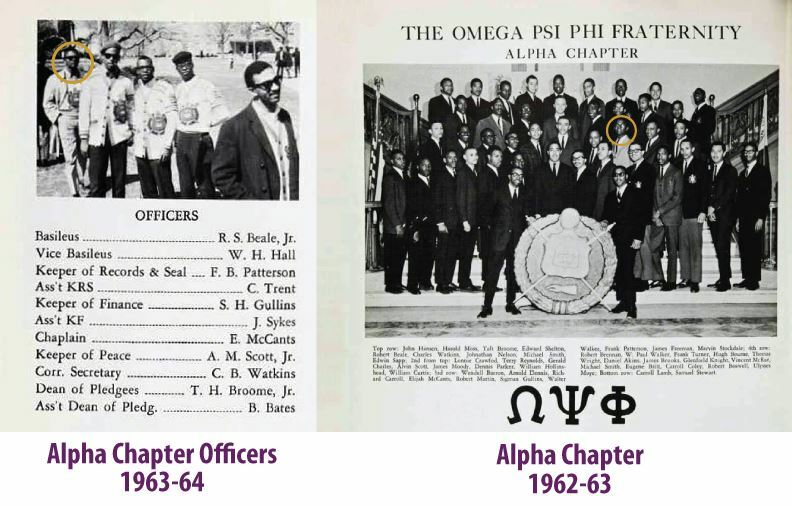 Frankie was initiated into Omega on April 14, 1962 through Alpha Chapter. While at Alpha Chapter, Frankie served as Program Chair for its Cultural Series, Assistant KRS and KRS. He won praise from the Chapter and throughout the 3rd District which earned him Omega Man of the Year in 1963 from Alpha Chapter. 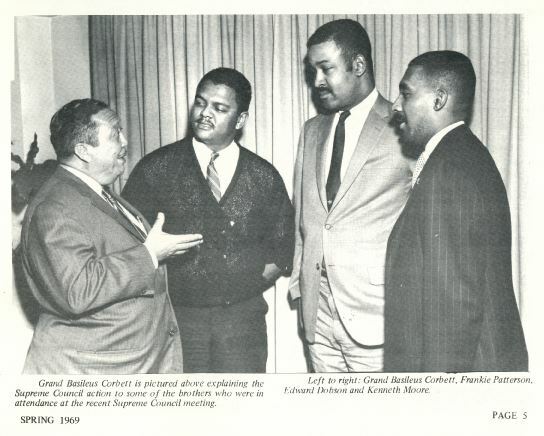 After Howard, Frankie continued his service to Omega through the Kappa Psi intermediate chapter where he was instrumental in chartering Epsilon Sigma Chapter at Bowie State University in April 1968 serving as Dean of Pledges for its charter line. 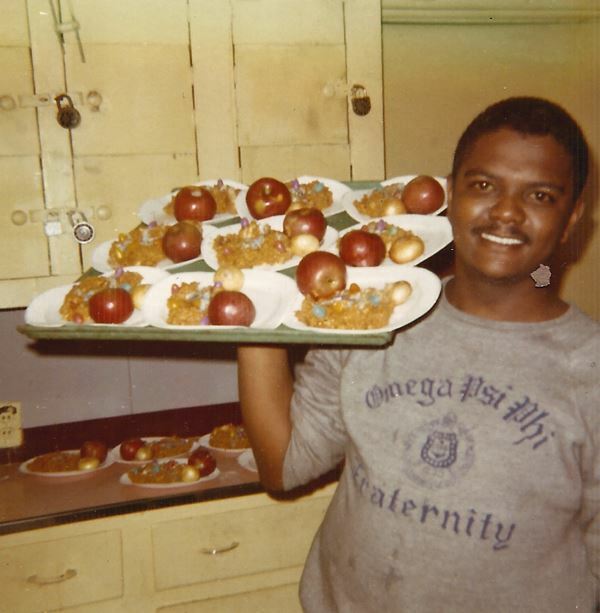 Even after he left Kappa Psi, he continued to serve in an advisory capacity which resulted in him being honored in 1975 for services rendered to the Chapter. 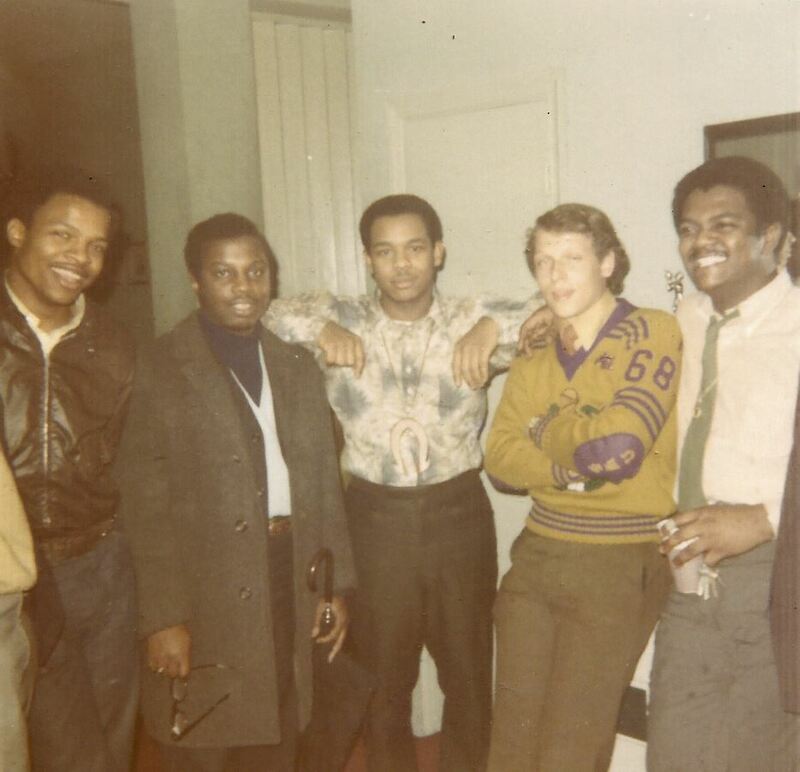 After transferring to Alpha Omega chapter in the early 70s, he served as the Chapter's KRS from 1973-1978. As a result of his service, he was designated KRS Emeritus of the Chapter. Frankie also rendered tireless service to the Chapter a s member of several important committees while also serving as Secretary of the Board of Directors for Alpha Tau Alpha Inc., the body responsible for the stewardship of the Washington, D.C. fraternity house. Frankie was selected as Alpha Omega's Omega Man of the Year in both 1974 and 1997. In 2012, Frankie was recognized for "50 years of devotion and service and for exemplifying the Four Cardinal Principles of Manhood, Scholarship, Perseverance and Uplift." Frankie served as 3rd District KRS for 10 years followed by the designation as 3rd District KRS Emeritus. He was selected as the 3rd District Marshal for the 64th 3rd District Meeting in 1997 and was most recently appointed as the Honorary Deputy District Marshal at the 84th 3rd District Meeting to be held in Washington, D.C. in 2017. Frankie's lasting legacy can be seen in one of his most prized accomplishments both professionally, fraternally and personally. 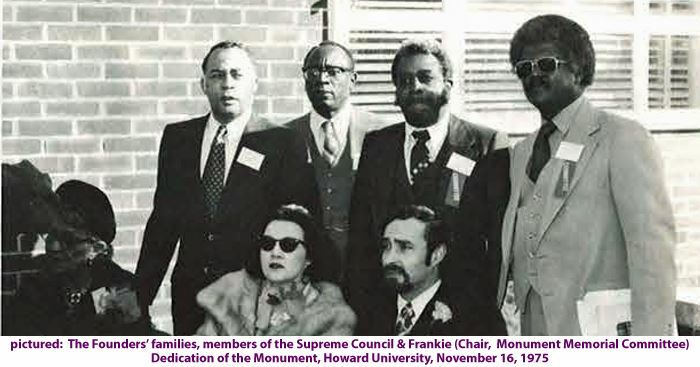 In 1975, he chaired the Founders' Memorial Committee which resulted in the first monument established at Howard University by any organization or the University. 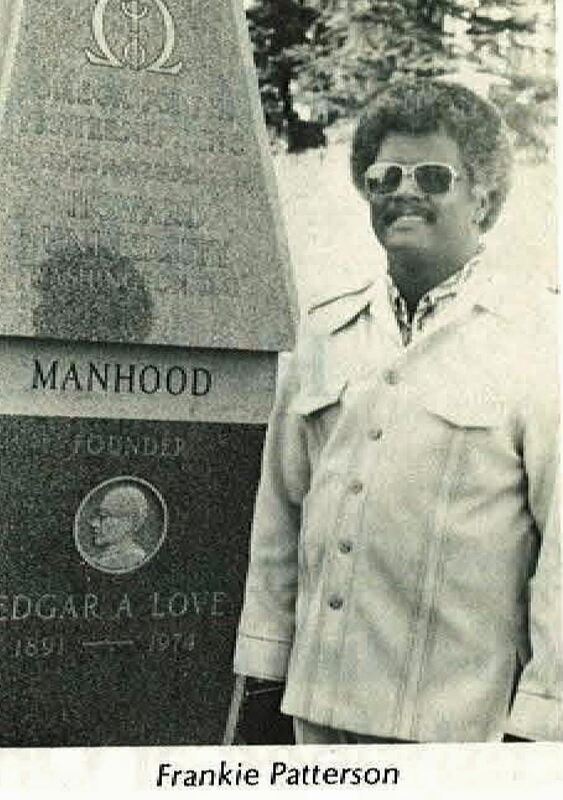 It is now a destination point for every Omega Man to visit at least once in his lifetime. 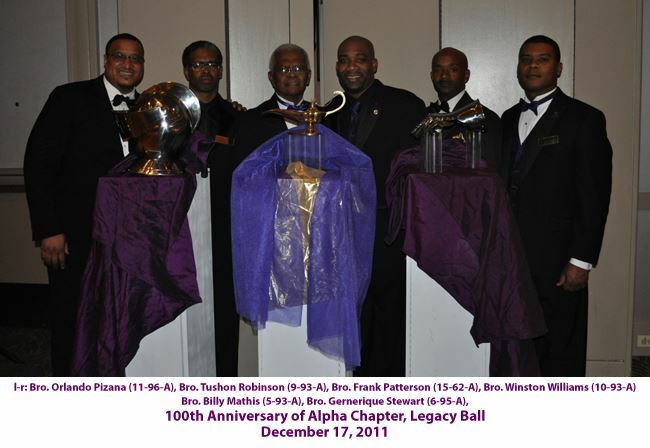 His other national accomplishments in Omega include his selection as the Deputy Grand Marshal for the 2011 Centennial Grand Conclave in Washington, D.C., Chairman of Registration for he 75th Anniversary Grand Conclave in Washington, D.C. and Secretary of the Omega Psi Phi Fraternity Federal Credit Union. Recognizing his contribution and example of Brotherhood and Service, in 2000, Alpha Chapter created an award in Frankie's name, the Frank Byron Patterson Award, that honors those Brothers who's service to Omega and its Four Cardinal Principles sets an example to others. During Alpha Chapter's Centennial Celebration, Frankie was honored by over 250 Brothers and friends with the Centennial Award for a lifetime of service and friendship to Omega and Alpha Chapter. Professionally, Frankie served as a Loan Officer for the U.S. Import-Export Bank for 36 years. He completed his advanced studies in international banking at George Washington University. He was a member of Friendship Baptist Church where he followed his father's footsteps and served actively in key leadership positions in the church, but valued his time as a "doorkeeper" above all. His affiliation with the Usher Board and the Interdenominational Church Ushers Association where he was cited "for his generosity and steadfast loyalty" in 2006. While his twin brother, Freddie L. Patterson, preceded him in death, his survivors include a sister, Jane W. Hamilton (Kirk) of Ft. Washington, MD, cousins Yvonne Banks-Mitchell, Willie Patterson, Reginald Banks, Warren Banks of Birmingham, AL and Lynn (Goretha) Banks of Jacksonville, FL. Frankie was conscientious and faithful in all he endeavored to do. His was a life well-lived. Although his accomplishments and contributions were many, what will be missed most is his friendship. We thank the Supreme Basileus of the Universe for allowing us in many ways, both large and small, to share in the life of Bro. Frank Byron Patterson. He was our friend.